A shimmering yellow sculpture will pop against Manhattan’s Flatiron building as its backdrop this holiday season, courtesy of Studio Cadena. 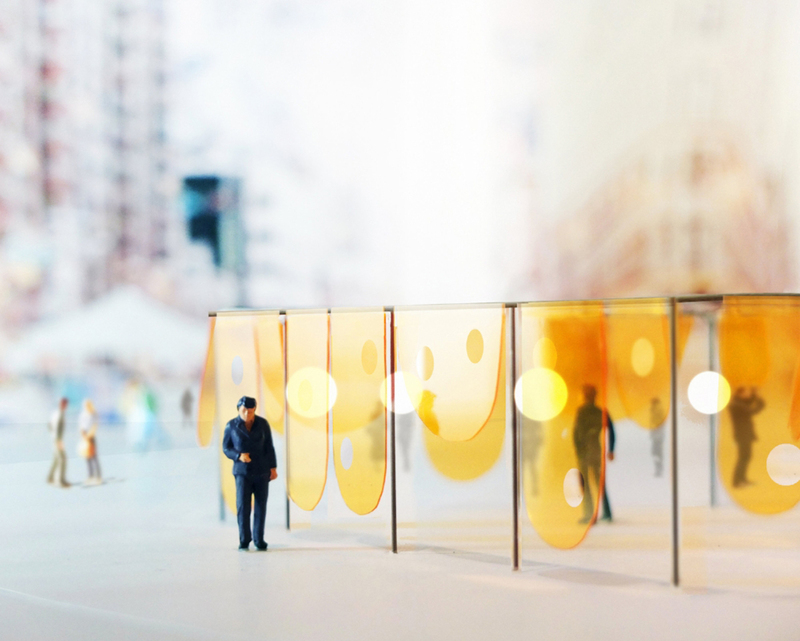 As winners of the fifth annual Flatiron Public Plaza Holiday Design competition, Happy will be on display for visitors to enjoy in the North Flatiron Public Plaza starting November 19th. 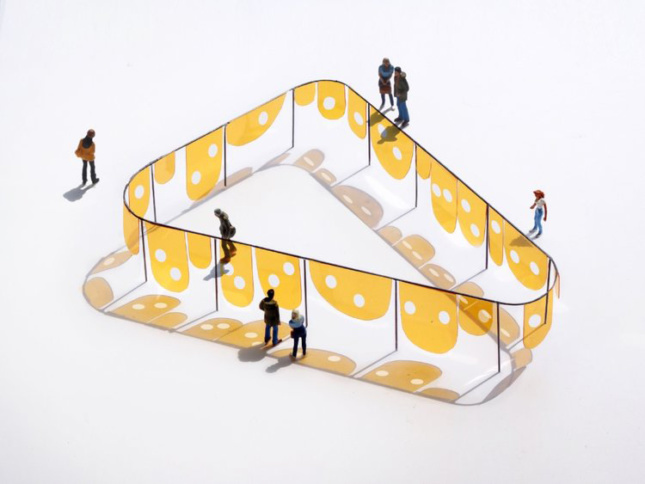 Happy is shaped by 24 transparent vinyl screens hung from an open frame. Throughout the day it’s set to shimmer and reflect the light in the surrounding neighborhood. Towards the end of the day, it’s designed to cast colored shadows on the plaza sidewalk. Studio Cadena’s design was one of seven other finalists chosen to submit proposals for an invite-only competition. Hosted each year by the Van Alen Institute and Flatiron/23rd Street Partnership, the projects are aimed to spread cheer and enliven the plaza. Other finalists include Agency—Agency, Brandt : Haferd, MODU, N H M D, Office III, P.R.O., and Wolfgang & Hite. Last year’s winner, Future Expansion, designed a semi-enclosure of metal tubes resembling a public pipe organ.